With increasingly aging population there is an increase in the incidence of age-related neurodegenerative diseases such as Alzheimer’s disease and Parkinson’s disease. And despite the advent of many drugs that helped to ease the life of patients suffering from these disorders, there is yet no cure. In recent years, there has been a growing interest in the use of botanicals and dietary supplements to treat neurodegenerative diseases. Indeed, the use of herbal remedies in these patients is widespread and is on the rise. While the list of these botanicals is long, some of them, e.g., Panax ginseng, Ginkgo biloba, curcumin or their individual biologically active constituents, have been shown to exert neuroprotective effects in experimental animals. 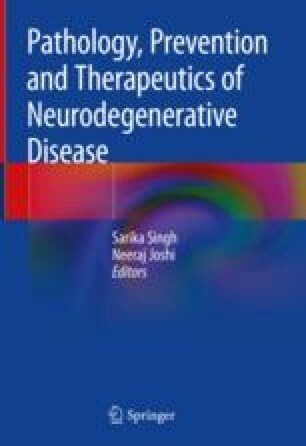 Data from epidemiological studies and clinical trials have also suggested clinical benefit of these herbal supplements in delaying or even modifying the neurodegenerative process. Likewise epidemiologic and experimental studies suggest therapeutic potential for such dietary components as tea catechins, coffee as well as dietary polyphenols This chapter discusses the clinical and experimental data suggesting a benefit from these commonly used herbal supplements and dietary components.